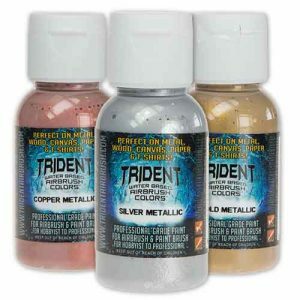 TRIDENT Fluorescent is applied over a white base color or white T-Shirt to achieve maximum fluorescence of color. 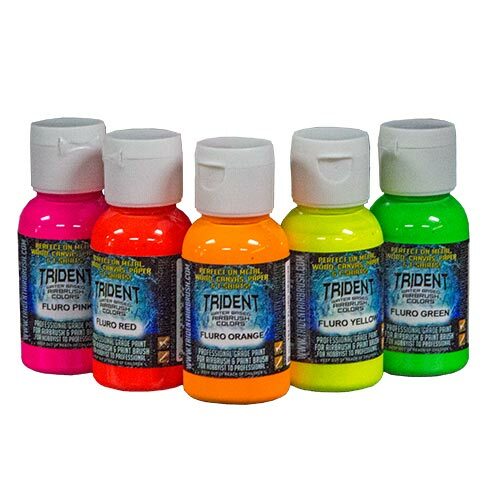 TRIDENT Fluorescent should be sealed and set with TRIDENT T-Shirt Booster or 2K cleared with a high quality UV resistant 2K clear coat such as DNA Diamond Clear. Note: Fluorescent paints have a limited color-fastness and are not recommended for overall refinishing or when long color-fastness is required. 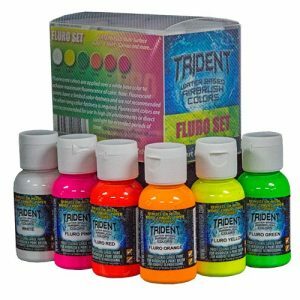 TRIDENT Fluorescent are not recommended for use in high UV environments or direct sunlight for extended periods of time. 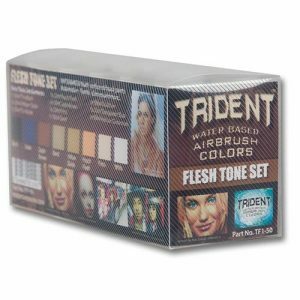 No warranty is offered on this product against color fade.